Lying at the foot of a hill, the roofs for this retail complex were visible to traffic. So appearance was valued. 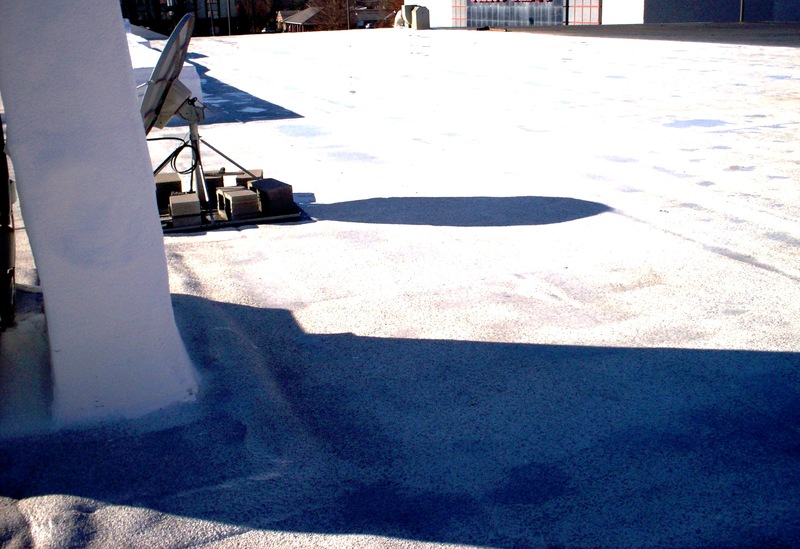 The project was to replace a leaking rubber roof section with foam, to update an older foam roof to provide improved drainage and to make these two sections, plus a section of the rubber roof which had been patched earlier, all look attractive with a unified appearance. 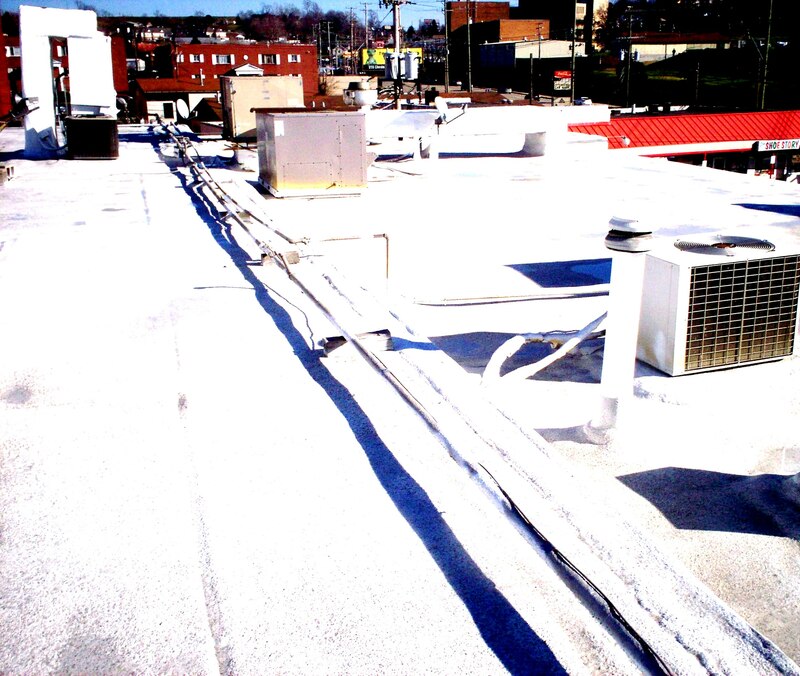 The customer had asked for a minimum cost when we did the job initially and had added and changed mechanical system footprints over the roof during the intervening period. (It included two restaurants under the original foam roof.) 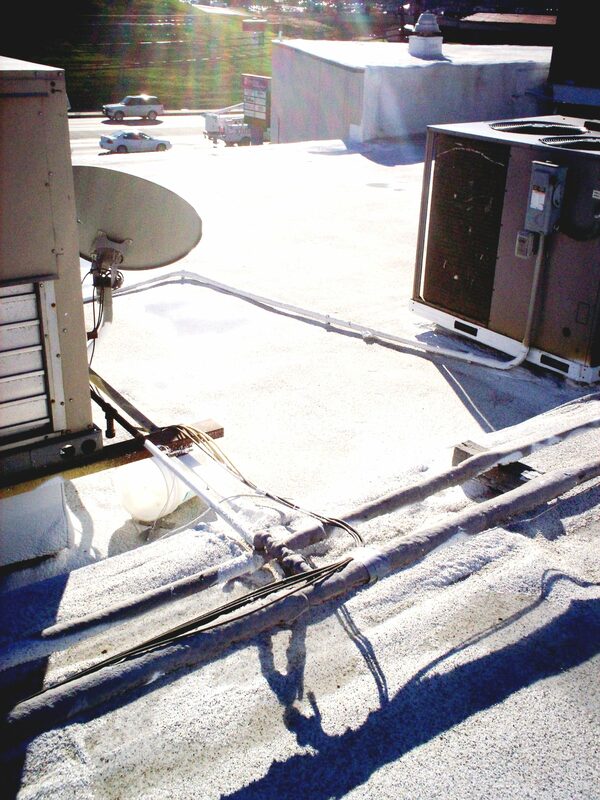 The roof had been extremely reliable and had no present leaks but could benefit from an upgrade. The rubber roof had to be repaired. The owner did not want to do the back side of it at this time, but we did lap the roof peak to capture the horizontal seams on both sides. We put board down over the foam and rubber sections. We then applied foam, with extra work around units that had been added or changed over the years to improve water flow to the too few number of drains on the roof. To the rubber section, the patched strip and the foam area we then added silicone coating and embedded granules into the top coat. The owner has received positive comments from patrons who have noticed the attractive, unified appearance. 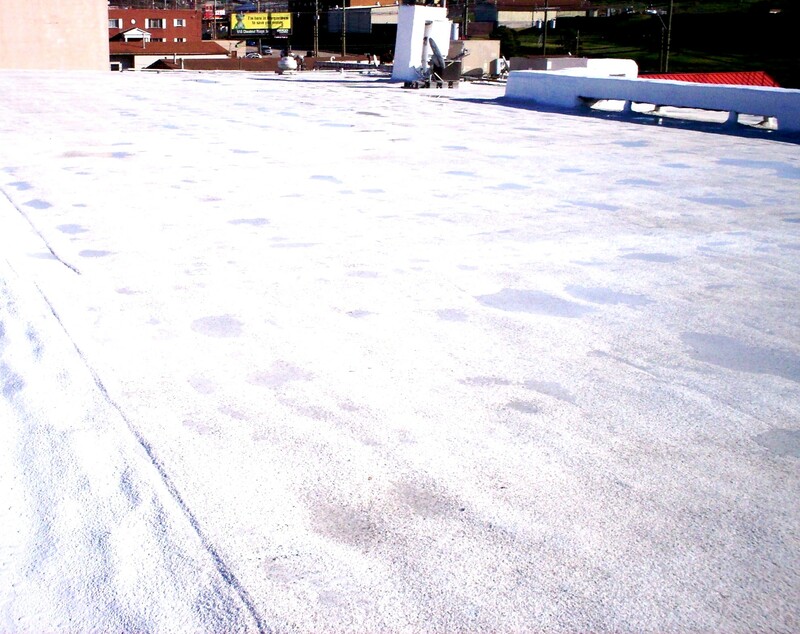 He has eliminated the leaking in his rubber roof and added insulation value over that portion of his roof. He has added even more insulation value over the old foam roof area. He likes the potential for energy savings because he has experienced that success before. 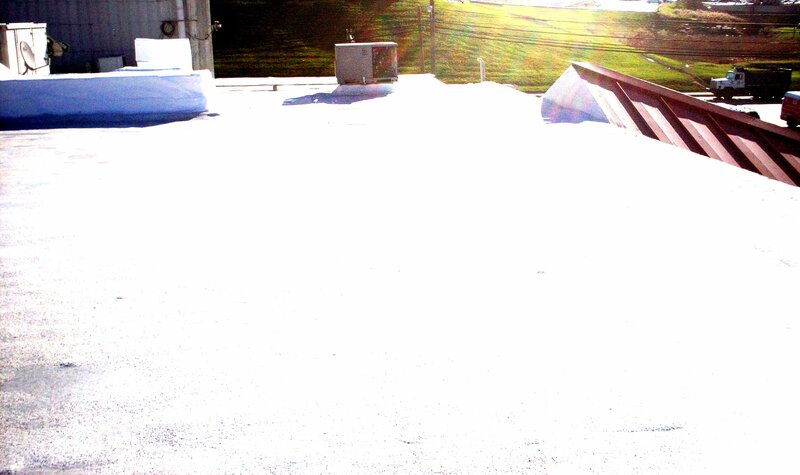 However, he is mostly excited that he now has attractive, non-leaking roofs and all, with his upgrade to his foam roof included, of his roofs have complete warranty coverage.